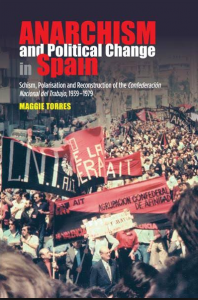 Maggie Torre’s welcome and rigorous study analysing the CNT’s trajectory during its thirty-five years of clandestinity and exile, describes, convincingly and in satisfying detail, the internal and external vicissitudes and complexities that led, in December 1979, to the steady eclipse of anarcho-syndicalist influence following the CNT’s first Congress in Spain since Zaragoza in 1936: the carrot and stick of thirty-five years of vicious and murderous repression and co-option of militants into the Francoist vertical unions; thirty years of the baleful and corrupting influence of the Gestapo-compromised Federica Montseny (1905-1994) and Germinal Esgleas (1903-1981) controlling an oligarchic mutual aid society in exile, and seeking to control — and betray, —the clandestine union organisation inside Spain; the changing nature of Spain’s labour movement in the 1950s and 1960s; the impact of the guerrilla action groups and Defensa Interior’s direct actions targeting Spanish tourism and its attempts to kill Franco; ‘cincopuntismo’ and the CNT’s relations with the vertical union; the ideological evolution of Spanish anarchism and anarcho-syndicalism in the 1960s and 1970s; the Scala-type machinations of the ‘Bunker’ to ensure a seamless, Dr Who-like transition to power and retain control in the brave new world of post-Francoist democracy. 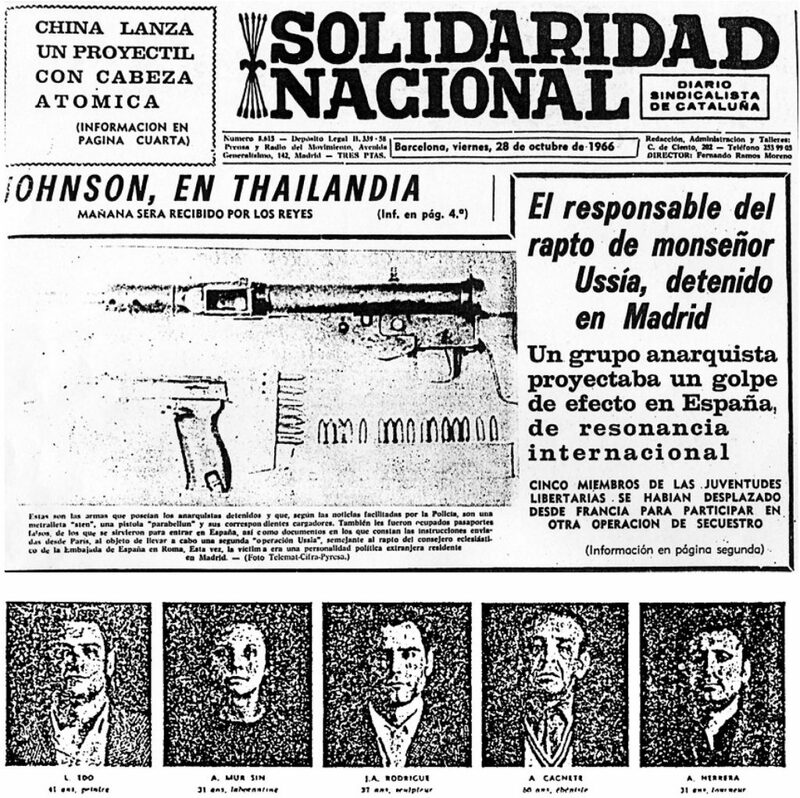 On 24 October 1966 five members of the anarchist ‘First of May Group’1 were arrested in Madrid by the Francoist Brigada Político-Social and charged with preparing acts of terrorism. The action in question, ‘Operation Durruti’, involved the kidnapping of US Rear Admiral Norman Campbell Gillette, Jr., commander of US forces in Spain, but the plan was compromised and betrayed from the beginning by a sixth member of the group, police informer Inocencio Martínez, who was allowed to escape and return to France where he continued his treachery for some years.